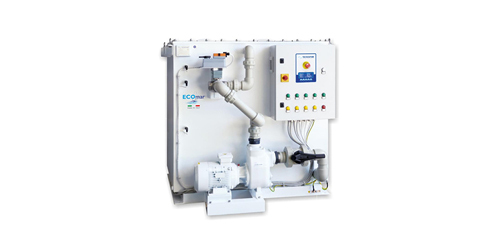 ECOmar is a system for the treatment of black and grey water on board formed by a central structure in stainless steel AISI 316L and available in robust polypropylene (in models 20, 32, 45 and 70). All models are designed and built by Tecnicomar to work in extreme temperature and vibration conditions and have a high level of reliability and low energy consumption. The microprocessor control and control panel with LCD display (electromechanical on ECOmar 145 and 340) coordinates the fully automatic operation mode and is programmed for manual running in emergency.